Dr. Berry is a Federal Air Surgeon in the Office of Aerospace Medicine with the Federal Aviation Administration in Washington, DC. He is the recipient of numerous national awards, has several academic appointments as well as authored many scientific papers and book chapters. Hockey Hall of Fame center Patrick LaFontaine's career was cut short as a result of post-concussion syndrome (PCS). He was first diagnosed with PCS during the 1996-97 campaign after a high hit by Pittsburgh's Francois Leroux. Doctors advised him not to return, but he did and was never really the same. He retired at the age of 34. LaFontaine, who had 468 goals and 1,013 points despite missing parts of three seasons during his career that spanned 15 years with all three New York-based NHL teams: the Islanders, Buffalo Sabres and Rangers. In his honor, the winner of the Rangers-Islanders season series receives the Pat LaFontaine Trophy. He is considered to have been among the game's best playmakers, fastest skaters and most humble of superstars. In 1993, Pat became the first active player to receive the USA Hockey Distinguished Achievement Award, presented annually to a US citizen who has made hockey his or her profession and has made an outstanding contribution to the sport in the US. In addition, Patrick, a five time All-Star, won the Bill Masterton Trophy in 1995 for perseverance, sportsmanship and dedication to hockey. 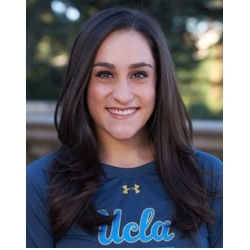 Olympic Gold Medalist and current UCLA Assistant Coach, Jordyn Wieber added her name to a (still growing) list of women to accuse former USA Gymnastics National team and Michigan State doctor Larry Nassar of sexual abuse. She first spoke at his sentencing hearing and gave a powerful testimony about her experience and the anger and confusion she felt as a result. She has since spoken across the country, including on Capitol Hill, sharing her story and encouraging others to do the same, as well as pushing for legislation and organizational changes in hopes of protecting the next generation of athletes. 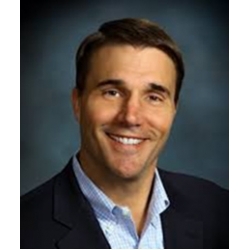 Dr. Harmon is a Professor in the Departments of Family Medicine and Orthopaedics and Sports Medicine, Section Head and Head Football Physician at the University of Washington. She is also the Chair of the Pac-12 Student Athlete Health and Well-Being Board, Medical Advisor to the National Basketball Players Association as well as Associate Editor for the British Journal of Sports Medicine. She was President of AMSSM from 2009-2010 and she currently serves as Secretary/Treasurer for the AMSSM Foundation Board. Dr. 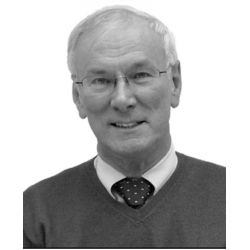 Hull is a Clinical Pulmonologist at the Royal Brompton Hospital, London, United Kingdom. 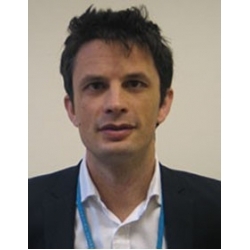 He leads the unexplained breathlessness service, performing and supervising over 500 cardiopulmonary exercise tests per year and has a specialist clinical and research interest in cough and breathing problems in athletic individuals. Dr. Mailu is a consultant orthopedic surgeon board – sports medicine department at AIC Cure InternationalHospital, Kijabe Kenya. 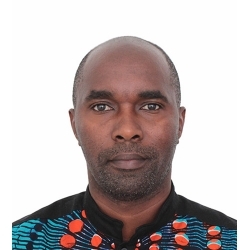 He is currently the Team Doctor for the Kenya Rugby 7s, Kenya Rugby 15s and the Kenya Cup League teams and serves the National Soccer teams for Women and Men, as well as 4 Kenya Premier League clubs, besides covering a number of elite high school teams, field hockey, swimming and basketball. He is the Head of Innovation and Research at Cure Kenya, Immediate Assistant Director of the orthopedic residency and fellowships program. In his position, he initiated the first clinical fellowship for orthopedic sports medicine in East and Central Africa and was in a team that pioneered an instructional fellowship in pediatric orthopedics. He is a clinical instructor for orthopedics for University of Nairobi, Moi University and Tenwek Orthopedic Institute. He is the founding President of the Kenya Society of Sports Medicine and a pioneer of creating systems and policies for sports medicine in his country. He has been instrumental in forming and ‘developing’ systems of care and training for sports medicine in Kenya and surrounding countries. He spends his spare time doing medical missions across wide parts of the Third World with Medical Missions (Africa) a medical charity he founded and serves as their Executive Director. Dr. Malhotra is an NIHR Clinical Lecturer in Cardiology. He graduated from the University of Cambridge (Emmanuel College) in 2006 and having spent time at both MIT and Harvard Universities in Boston, he spent his Foundation years working in Cambridge (UK) and Papworth before moving to Oxford to continue his specialist training in cardiology. Along the way, he completed a Masters in Medical Leadership at the Royal College of Physicians (2013). 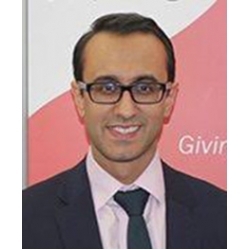 He completed his PhD in inherited heart diseases and sports cardiology at St. George’s University of London where he was subsequently appointed NIHR Clinical Lecturer. Dr. Malhotra’s research areas include investigating the electrical, structural and functional features of the adolescent athlete's heart with data derived from analyzing the Football Association’s cardiac screening program, the largest of its kind for elite junior athletes in Europe. His work has achieved the Young Investigator Award and best abstract prizes at international conferences. He is the European Association of Preventative Cardiology Young Ambassador for the United Kingdom. He has over 70 peer-reviewed publications and has co-authored and contributed to books in cardiology and medicine. His ongoing research interests include sudden cardiac death in adolescent athletes and ethnic differences between black, white and mixed-race athletes' hearts. Dr. Sheel is Associate Professor in the School of Kinesiology at the University of British Columbia in Vancouver, British Coumbia, Canada. He is an Investigator at ICORD. His research focuses on exercise science and has studied exercise physiology, athletic performance and respiratory and cardiovascular physiology. The main theme of his research is that the respiratory and cardiovascular systems are inextricably linked and influences each other's function. Through his research, Dr. Sheel hopes to understand the physiological basis and importance of cardiorespiratory interactions in different conditions, such as exercise and disease while examining the therapeutic potential of exercise. After completing his BPE at the University of New Brunswick, he moved to the University of British Columbia to complete both his MSc and PhD in human kinetics. His Post-Doctoral Fellowship was at the University of Wisconsin-Madison. 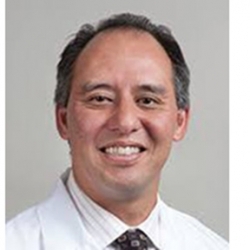 Dr. Tsukahara is the 2019 AMSSM International Visiting Fellow and is an orthopedist in Japan specializing in sports medicine. Her research focuses on body composition in female athletes and its relation to sports performances. She has experience as a team physician of a national women’s soccer team in many categories, and she also serves as a member of the medical committee for Japanese athletics. 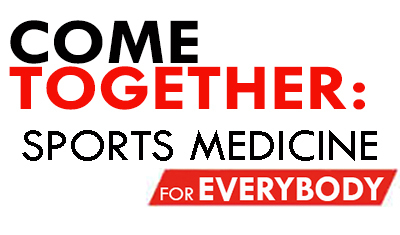 Dr. Tsukahara will be working in the athlete village clinic during the Tokyo Olympics/Paralympics in 2020. Dr. Barron is a fellowship-trained shoulder, elbow and hand surgeon. He is an Associate Clinical Professor of Orthopedics at NYU – Langone and the University of Texas Dell Medical Centers and practices in both Austin and Manhattan. Dr. Barron has been treating surgeon for the NY Philharmonic and Metropolitan Operas in New York for over 20 years. He publishes and lectures extensively and has treated thousands of professional musicians. He also directs the nonprofit Musician Treatment Foundation. Dr. Caplan is a Professor of Biology and Director of the Skeletal Research Center at Case Western Reserve University. He received his doctorate from The Johns Hopkins University School of Medicine. 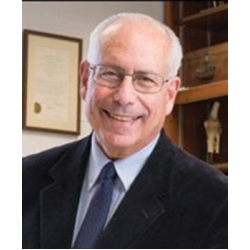 Dr. Caplan is a national and international scholar focusing on experimentation in the area of musculoskeletal and skin development. He has published over 450 papers and manuscripts and has long been supported by the NIH and other non-profit and for-profit agencies for his efforts in trying to understand the development, maturation and aging of cartilage, bone, skin and other mesenchymal tissues as well as for his pioneering research on mesenchymal stem cells. 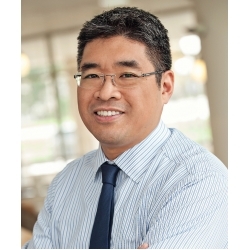 Dr. Chung earned his AB in Biology at Harvard College, MSc in Social Policy at the University of Edinburgh (Scotland), and MD at Jefferson Medical College (Philadelphia). He completed his residency in Internal Medicine and fellowships in both Cardiovascular Disease and Clinical Cardiac Electrophysiology (EP) at Lahey Clinic in Burlington, Massachusetts. While on faculty at the University of North Carolina at Chapel Hill (UNC) from 2008-2017, his practice encompassed the entire range of EP procedures with a focus on complex ablation of supraventricular and ventricular arrhythmias. At UNC, he was also Team Cardiologist and conducted clinical research on ECG assessment in athletes. As a member of the American College of Cardiology's (ACC) Sports and Exercise Leadership Council, he has been active in educational programming in sports cardiology on a national level. He joined Michigan Medicine, University of Michigan, in September 2017 to direct the expansion of the cardiac EP service in West Michigan and to start the Sports Cardiology Clinic. 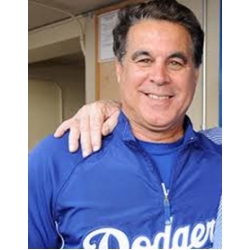 Stan Conte, a licensed Physical Therapist and Athletic Trainer with 23 years of Major League Baseball experience in the management, treatment, rehabilitation and prevention of the Major and Minor League baseball player injuries. He also became involved in a number of other areas including medical risk assessment, injury probability, injury management and triage of major and minor league injuries requiring him to be responsible in hiring, evaluating and coordinating physicians, athletic trainers, physical therapists and strength coaches. This is where his passion lies in medical risk assessment and projection of future injury in free agents, trades and amateur draft which led him to initiate Conte Injury Analytics to aid MLB teams and others in injury management and reduction. Dr. Crutchfield is the Director of the Sports Medicine Institute, Sports Neurology and Comprehensive Concussion Program. He is board certified in psychiatry and neurology and he graduated from medical school at Georgetown University, neurology residency at Walter Reed Army Medical Center and was a senior staff fellow at NIH in Bethesda, Maryland. He is an Assistant Professor of Neurology, Emergency and Military Medicine at Uniformed Services University of Health Sciences as well as an independent neurologist for the Baltimore Ravens and Baltimore Orioles. He is a Charter member of Mackey-White Health and Safety Committee and the NFL Players Association. Dr. Faigenbaum is a Professor in the Department of Health and Exercise Science at The College of New Jersey. As a pediatric exercise scientist, his research interests focus on pediatric exercise science, resistance exercise and preventive medicine. He has co-authored over 200 peer-reviewed publications, 40 book chapters and 10 books as well as served as the lead or co-author on several position statement papers on youth resistance training. His prospective research involves exercise interventions in public schools and youth centers to understand changes in health, fitness and athleticism in children and adolescents. Dr. Faigenbaum has been an invited speaker at more than 300 conferences throughout the United States and internationally as well. In 2017, he was awarded the Boyd Epley Lifetime Achievement Award from the National Strength and Conditioning Association. 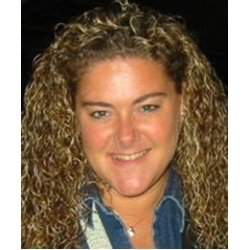 Lisa Fenn Mahooti is an author, speaker and freelance feature producer. She spent thirteen years at ESPN, where her story telling earned six Emmy Awards and three Edward R. Murrow awards for excellence in journalism. Her work has been featured on ESPN, Good Morning America and World News Tonight. She is a graduate of Cornell University. Lisa recently released her memoir entitled Carry On: A Story of Resilience, Redemption, and an Unlikely Family. This deeply moving story examines the unexpected bonds that would transform three lives. Carry On is a touching tale of an unlikely family forged through barriers of race, class and disability. It is a powerful memoir about grit, love, hope and faith — and the courage to carry on, even in the most extraordinary circumstances. Carry On has won numerous awards, including a Friends of American Literature Award, a Christopher Award and was an NAACP Image Award finalist for Best Literature by a Debut Author. Walden Media has acquired screen rights to Carry On with Mark Ciardi (Miracle, The Rookie, McFarland) producing. Bryan Fletcher is a childhood cancer survivor, two-time Olympian (2014, 2018) and World Championship medalist (2013). 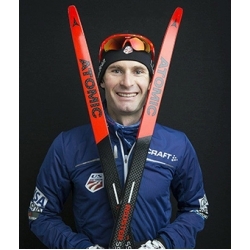 Bryan’s unique story of beginning Nordic Combined in the midst of chemotherapy gave him a unique perspective that carried him throughout his career pushing him to the top ranks of the sport. Leukemia did its best to keep him down from an allergic reaction to a chemotherapy medication, to a stroke; there were plenty of reasons to hang up his skis. To this day, Bryan believes that maintaining his passion for skiing is one of the biggest reasons he is here as a survivor. 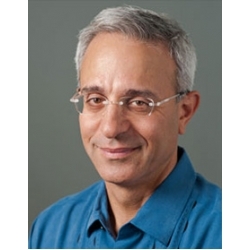 Dr. Giza is a Professor of Pediatric Neurology and Neurosurgery at the David Geffen School of Medicine and Mattel Children’s Hospital and Director of the UCLA Steve Tisch BrainSPORT program. 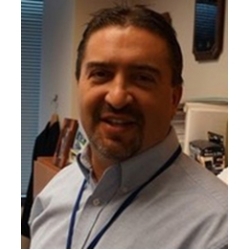 He currently serves on the advisory committees for TBI/concussion with the CDC, NCAA, MLS and USSF, and has been a clinical consultant for the NFL, NHL and MLS. After graduating from medical school at West Virginia University, he completed his internship at the University of Pennsylvania and then trained in adult and pediatric neurology at UCLA. He then worked on the Yosemite Search and Rescue team before joining the UCLA Brain Injury Research Center. Dr. Giza traveled to Afghanistan in 2011 as a civilian advisor to the Department of Defense. Dr. Giza co-chaired the committee from the American Academy of Neurology that developed an evidence-based Practice Guideline for Management of Sports Concussions from 2009-2013. Dr. Tate Greditzer is a board-certified radiologist specializing in musculoskeletal radiology and intervention at the Hospital for Special Surgery in New York. 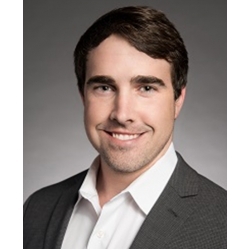 Dr. Greditzer specializes in ultrasound interventional procedures as well as sports medicine MRI and participates in the care of both professional athletes as well as the weekend warrior. Since 2005, Scott Hallenbeck has led USA Football, the sport’s national governing body and member of the U.S. Olympic Committee, spearheading innovations spanning coach education, long-term athlete development and U.S. National Teams. In 2012, USA Football created Heads Up Football, a nationally endorsed coaching program that’s changed the sport with more than 10,000 schools and youth leagues combined enrolled nationwide and nearly 600,000 completed coach certifications. Dr. Hsia is a Professor in the Department of Internal Medicine at the University of Texas Southwestern and has been a pulmonologist practicing in Dallas, Texas for 35 years. After graduating from medical school at the University of Toronto, she continued training at the University of Toronto Affiliated Hospitals to complete her residency and internal medicine fellowship and respiratory medicine fellowship. 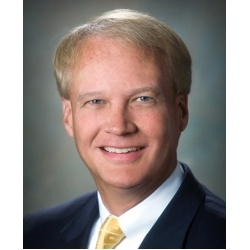 Dr. Hunt is a Professor of Orthopedics, Surgery, and Space Medicine as well as Chair of the Department of Orthopedic Surgery at Baylor College of Medicine. He is also a board-certified orthopaedic surgeon, with a subspecialty certificate in surgery of the hand. Dr. Hunt serves as a team physician for the Houston Texans; Hand, Wrist and Elbow lead for the NFL’s Musculoskeletal Committee; Medical Advisor for the Titleist Performance Institute; and, as a resource for athletes worldwide. Dr. Jenny teaches within the Department of Public Health at Slippery Rock University. 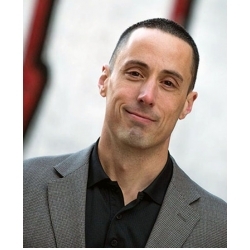 His research interests include eSports, motion-based video gaming (MBVG) in physical education, the humanistic teaching/coaching philosophy as well as coaching/training methods to enhance distance running performance. Dr. Jenny is the “Sports Performance Advisor” to The Meta — a San Francisco-based eSports start-up company. Dr. Lampert went to medical school at Vanderbilt, then did residency and chief residency at Bellevue/NYU. She did cardiology and electrophysiology fellowship at Yale, where she is currently a Professor of Medicine. Clinically, she takes care of patients with cardiac devices as well as other arrhythmic disorders, with a focus on athletes. Dr. Lampert is involved with the Heart Rhythm Society, American College of Cardiology and American Heart Associations, serving on committees and editorial boards. Her research interests include the impact of exercise on arrhythmias in patients with cardiovascular disease, and care of athletes. Dr. Lemery is Associate Professor of Emergency Medicine at the University of Colorado School of Medicine and is Chief of the Section of Wilderness and Environmental Medicine. He is a Past-President of the Wilderness Medical Society and has provided medical direction to National Science Foundation subcontractors operating at both poles, most recently serving as the EMS Medical Director for the United States Antarctic Program. Dr. Lemery has an academic expertise in austere and remote medical care as well as the effects of climate change on human health. He is affiliate faculty of the Colorado School of Public Health. In 2017, He became the Director for the Living Closer Foundation physician GME Fellowship in Climate and Health Science Policy – the first of its kind in the nation. John Miller is the Director of the Dow Journalism Program at Hillsdale College in Michigan, national correspondent for National Review, and the author of several books, including “The Big Scrum: How Teddy Roosevelt Saved Football” and “Reading Around: Journalism on Authors, Artists, and Ideas”. 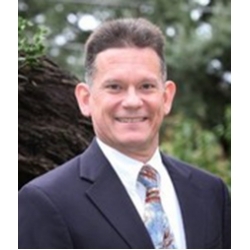 Dr. Ortega is a Senior Physician Executive and Clinical Informatics Maven in San Antonio, Texas. 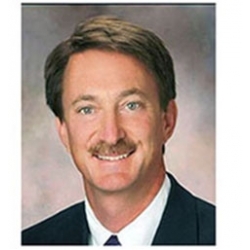 He is serving as the Vice Chair of Aerospace Medicine with the American Board of Preventive Medicine. 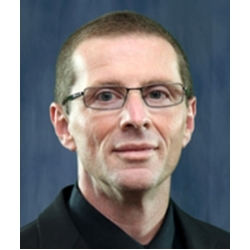 Currently Dr. Osbourne is a Professor and Coordinator for the Graduate Program in the Sport Administration specialization. Prior to her appointment at University of North Carolina in 1998, she worked for 14 years as an athletics administrator in intercollegiate athletics. While working at Brandeis University as the Senior Woman Administrator and Associate Athletics Director, she completed her law degree at Boston College Law School. She also has experience as a coach, public relations coordinator, television sports commentator, publisher and sports information director. She teaches Legal Issues in College Sport and NCAA Governance and Compliance in the graduate program, as well as Legal Aspects of Sport, Discrimination and Sport, and Women and Sport in the undergraduate program. She holds a secondary appointment teaching Sport Law at the UNC Law School. 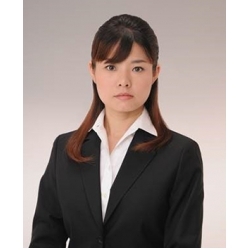 She advises the Sport and Entertainment Law Association student organization. Dr. Reardon, works as a consulting sports psychiatrist to the University of Wisconsin Athletic Department, and as an Associate Professor at the University of Wisconsin School of Medicine and Public Health Department of Psychiatry. Dr. Reardon is Co-Chair of the International Olympic Committee Workgroup on Mental Health in Elite Athletes. 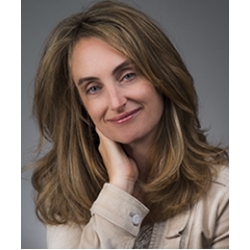 She has served on the International Society for Sports Psychiatry Board of Directors since 2010, and is Co-Editor of the book “Clinical Sports Psychiatry: An International Perspective”. Dr. Sargsyan graduated from the State Medical University in Armenia in 1981 and specialized in internal medicine and completed his specialization in nuclear medicine and diagnostic imaging (radiology) from 1992-1994. He practiced radiology in Armenia and Russia until 1996 along with teaching responsibilities for over 13 years. While practicing radiology, Dr. Sargsyan began his relationship with the U.S. Space Program by managing four NASA telemedicine and disaster medicine projects in Armenia and Russia from 1989 to 1995. 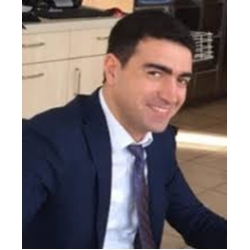 Since moving to the United States in 1996, Dr. Sargsyan works at the Space Medicine Department of Wyle as the International Space Medicine Liaison for the International Space Station Program. 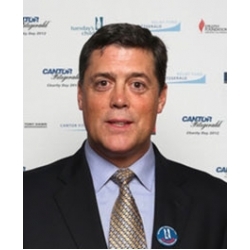 He has been instrumental to the development and operation of ISS medical boards and panels, and serves as the Executive secretary of the ISS Multilateral Space Medicine Board (MSMB) and the Multilateral Medical Operations Panel (MMOP). 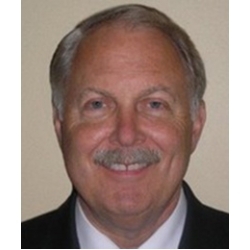 Steve Shaw currently serves as Secretary Rules Editor for NCAA Football and Chair of the CCA National Mechanics Committee. He has completed eight seasons as Coordinator of Football Officials for the Southeastern Conference and five seasons leading the Sun Belt Conference officiating. Steve served four years on the Board of Directors for the National Association of Sports Officials (NASO), serving as Chairman 2011 - 2012. As an on field NCAA Referee, he worked 14 Post-Season assignments including two National Championship games, eight BCS Bowls and four SEC Championship Games. Brett Singer is a sports dietitian at Memorial Hermann IRONMAN Sports Medicine Institute. 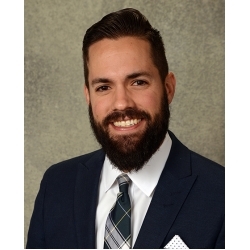 Through his role with Memorial Hermann he has served as a sports dietitian at Houston Baptist University, Sugar Land Skeeters Baseball as well as a consulting dietitian for Gatorade Sports Science Institute with the NBA G-League. Through Collegiate and Professional Sports Dietitian Association, Brett was selected as one of ten mentors nationally for the 2017 Gatorade Sports Nutrition Immersion Program. 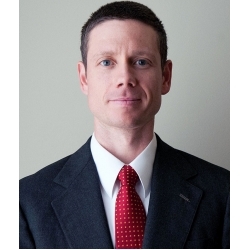 In addition to his role at Memorial Hermann, he is an Adjunct Professor in the Master of Athletic Training Program at University of Houston where he teaches Nutrition for Sports Performance. 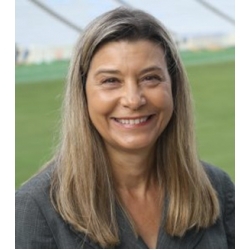 Dr. Statler is Associate Professor in the Department of Kinesiology at California State University – Fullerton and is the Scientific Program Chair for the Association of Applied Sport Psychology (AASP). 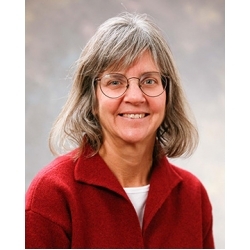 Her research credits include chapters in several books and journal articles on applied sport psychology and has given presentations on her research and experience at both the national and international level. She also works as a performance enhancement consultant for several athletic teams and individual performers in Southern California as well as serving as a sport psychology consultant for US Track and Field. Dr. Veliz is an Assistant Research Professor at the School of Nursing’s Applied Biostatistics Laboratory and Associate Director of the Sport, Health, and Activity Research and Policy Center. 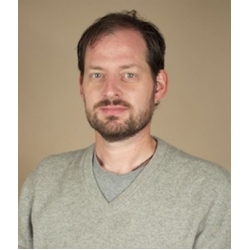 His research primarily involves examining large-scale secondary data sets to assess adolescent substance use, health and participation in organized sports. Dr. Veliz has published extensively using data sets like the Monitoring the Future and continues to work with existing secondary data sources that focus on substance use and health. 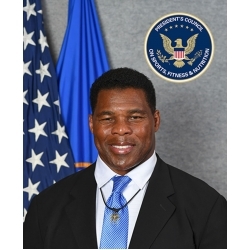 Herschel Walker currently serves as Co-Chair of the President’s Council on Sports, Fitness & Nutrition. Walker has a long history of commitment to exercise and fitness and has been a long supporter and advocate of promoting active lifestyles every day for our youth and adults. During his high school years, he led both his football and track team to state championships. Walker’s collegiate football career is legendary. As a freshman at the University of Georgia, Walker’s performance helped capture the 1980 national football title. He earned consensus All-American honors three consecutive years in both football and track & field, set numerous NCAA and SEC records and capped a sensational college career by earning, in his junior year, the 1982 Heisman Trophy. In 1983, Walker gave up his final year of collegiate eligibility and turned professional. Additionally, Walker held a world record in the 60-yard dash, participated in the 1992 Winter Olympics 2-man United States bobsled team, is a fifth degree black belt in Tae Kwon Do. In 2002, he was voted into the Collegiate Football Hall of Fame and in 2015 was selected as the greatest player in college football in the last half century. 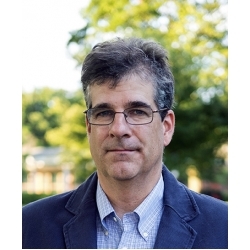 Dr. Washabaugh is the Director of the Orthopaedic Research Program, a Division of Extramural Research for the National Institute of Arthritis and Musculoskeletal and Skin Diseases (NIAMS) of the National Institutes of Health (NIH) in Bethesda, Maryland. Previously he was the Research Assistant Director for the Department of Cell Biology and Physiology at the University of Pittsburgh, School of Medicine in Pittsburgh, Pennsylvania. 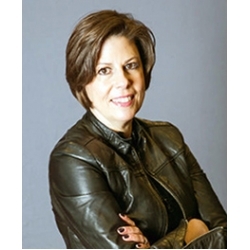 Amy Weiss, who served as White House Deputy Press Secretary to President Bill Clinton, has also worked at the highest levels of the corporate and non-profit sectors during her successful career in communications. After working on Capitol Hill and at the United Nations Foundation, she founded Weiss Public Affairs, where her clients include the NFL Physicians Society (NFLPS), philanthropist T. Boone Pickens, lawyer Kenneth R. Feinberg, Mars Incorporated and the White House Historical Association, among others. Weiss is a graduate of American University and Birkbeck College. Dr. Westreich is a board-certified psychiatrist who specializes in the treatment of patients dually diagnosed with addiction and mental disorders. He graduated from the University of Minnesota School of Medicine, completed a residency in Psychiatry at New York’s Beth Israel Medical Center, took a two-year fellowship in addiction psychiatry at New York University/Bellevue Hospital, and is now Associate Professor of Clinical Psychiatry at the N.Y.U. School of Medicine. Dr. Westreich formerly worked as the Director of Bellevue Hospital’s Detoxification Unit, and then as Director of Bellevue Hospital’s Dual Diagnosis Unit. He is board-certified by the American Board of Psychiatry and Neurology in General Psychiatry, Addiction Psychiatry, and Forensic Psychiatry. His responsibilities at N.Y.U. include teaching medical students, psychiatry residents, fellows in addiction psychiatry and attending psychiatrists on the Bellevue wards. 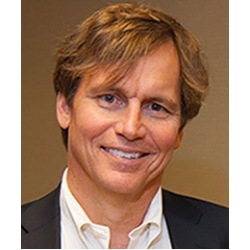 Dr. Westreich has published numerous articles on the treatment of addiction and is the author of Helping the Addict You Love (Simon and Schuster, 2007) and A Parent’s Guide to Teen Addiction (Skyhorse Publishing, 2017). Dr. Westreich serves as Consultant on Behavioral Health and Addiction to the Commissioner of Major League Baseball. 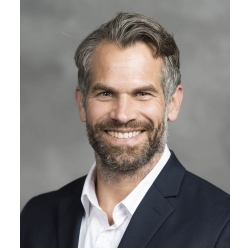 Dr. Heiderscheit is a Professor in the Departments of Orthopedics & Rehabilitation and Biomedical Engineering at the University of Wisconsin – Madison. He is the Director of the Runners’ Clinic through the UW Sports Medicine Center; Director of Badger Athletic Performance Research for UW Athletics; and Co-Director of the UW Neuromuscular Biomechanics Laboratory. Dr. Heiderscheit’s research is aimed at understanding and enhancing the clinical management of orthopedic conditions, with particular focus on running-related injuries. 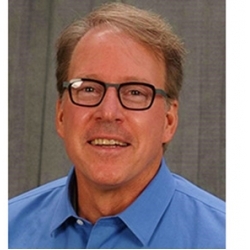 He is an Editor for the Journal of Orthopaedic and Sports Physical Therapy and a member of the Executive Committee of the Sports Physical Therapy Section of the American Physical Therapy Association. Dr. David Howell is the Lead Researcher at the Children’s Hospital Colorado Sports Medicine Center and Assistant Professor of Orthopedics at the University of Colorado School of Medicine. He received his PhD from the University of Oregon and then completed a post-doctoral research fellowship in the Division of Sports Medicine at Boston Children’s Hospital. His primary research interests consist of investigating pragmatic methods that help clinicians diagnose, manage and treat sport-related concussion. 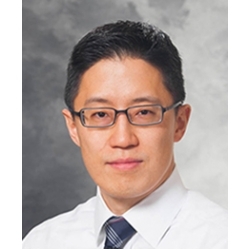 Dr. Lee is a fellowship-trained musculoskeletal (MSK) radiologist and is currently the Director of MSK Ultrasound at the University of Wisconsin Hospital and Clinics in Madison, Wisconsin. In this capacity, he directed the startup of the new MSK Ultrasound Clinic at UW Health-Research Park, which has seen nearly 800% growth in service over three years, providing quality-driven, patient-centered care in a unique environment. Dr. Lee has also collaborated with the UW Sports Medicine Clinic to provide a new service of platelet-rich plasma (PRP) therapy to help weekend warriors to high level athletes with sports-related injuries. 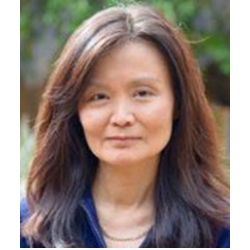 Dr. Lee’s research interests include basic science and clinical research. He has formed a multidisciplinary MSK ultrasound research team to study the effects of tendon elasticity and how it may predict injury or monitor healing. 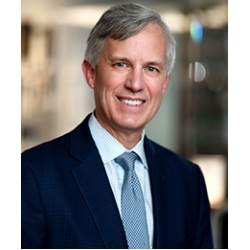 He also serves as Chair of the American Institute of Ultrasound in Medicine (AIUM) MSK Ultrasound Group and is a member of the Board of Directors of AIUM. Dr. McCarty is a board certified orthopedic surgeon and a fellowship-trained sports medicine specialist with a long-time interest in sports medicine and athletics. His passion for treating the active individual stems from his playing days as a linebacker at the University of Colorado, where he earned all-conference honors. In addition to his duties as head team physician for the University of Colorado and University of Denver, Dr. McCarty's specialized practice involves the care of recreational and highly competitive athletes from the community. His clinical expertise includes arthroscopic and open reconstructive surgery of the knee, shoulder and elbow. Dr. 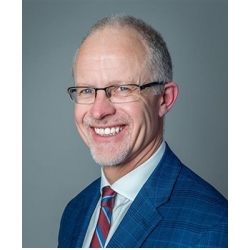 Pipe is a Professor in the Faculty of Medicine at the University of Ottawa in Ontario, Canada and continues his clinical and research activities within the Division of Prevention and Rehabilitation. 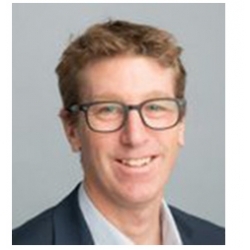 He is currently involved in clinical research assessing new approaches to smoking cessation, strategies designed to facilitate exercise adoption and novel initiatives to prevent cardiovascular disease. Dr. Pipe has addressed audiences in over 30 nations and is frequently consulted on issues related to tobacco use and smoking cessation, drug use in sport and physical activity and health. In addition to his clinical responsibilities, Dr. Pipe has been extensively involved in sports and sport medicine for many years. Dr. Pipe served as a physician at 12 Olympic Games and has been the Team Physician for Canada’s National Men’s Basketball Team since 1978. A member of the Canadian Olympic Hall of Fame, he served as Chair of the Canadian Centre for Ethics in Sport from its inception until 2003. Dr. Pipe is the recipient of the International Olympic Committee’s Award for “Sport, Health and Wellbeing”. Dr. Schmitz, is Professor at University of Pennsylvania School of Medicine and a member of the Abramson Cancer Center at Penn Medicine. 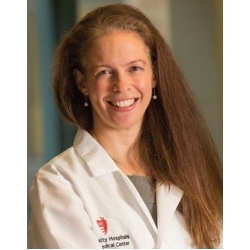 She is an exercise interventionist who has led multiple trials, including a large randomized controlled trial to assess the safety of upper body exercise among 295 breast cancer survivors with and without lymphedema (Physical Activity and Lymphedema Trial [PAL]). Her research extends from the role of physical activity in the prevention and etiology of obesity-related cancers to the usefulness of activity for rehabilitation and health promotion in cancer survivors of all cancers. Dr. Schmitz has over 100 peer-reviewed scientific papers and has had continuous NIH funding for her research since 2001. She serves on the expert panel for the YMCA/Lance Armstrong Foundation Cancer Survivorship Collaborative, wrote the cancer survivorship section of the recently published U.S. DHHS report of the Physical Activity Guidelines Advisory Committee, served on the ad hoc committee that developed the ACSM Cancer Exercise Trainer certification and is the lead author of the ACSM Roundtable on Exercise for Cancer Survivors, which published guidance for exercise testing and prescription for cancer survivors in July 2010. In 2010, the National Lymphedema Network awarded her the Catalyst Award for being a researcher whose work has stimulated thought, discussion and debate that leads to improvement in patient care for those with lymphedema. 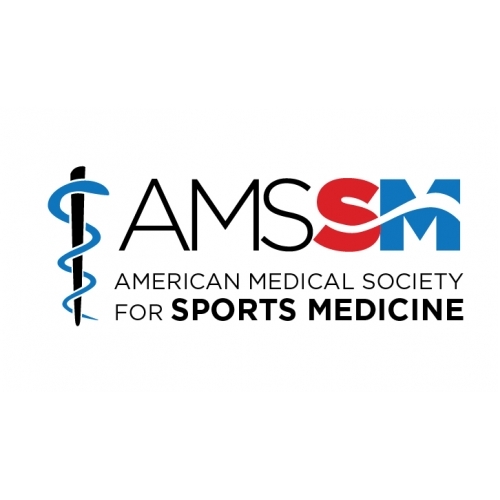 Dr. Schmitz is currently serving as the President of the American College of Sports Medicine (ACSM). 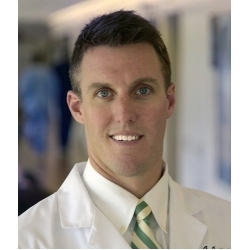 Dr. Vincent is the Director of the UF Running Medicine Clinic, and he also serves as the Medical Director of the UF Sports Performance Center at the University of Florida in Gainesville, Florida. He also serves as the Course Director for the Annual Running Medicine Conference held each spring at the University of Florida. He is active with research and has published numerous articles and presented lectures at conferences nationwide on running medicine and running-related injuries. His clinical interest focuses on running medicine, sports medicine and musculoskeletal medicine with particular emphasis on running, overuse injuries and participation in strength training. Dr. Weiss Kelly is Chief of the Division of Pediatric Sports Medicine at University Hospitals Rainbow Babies & Children’s Hospital. 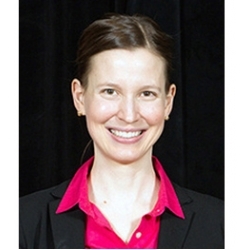 She is also Associate Professor of Pediatrics, Case Western Reserve University School of Medicine. Dr. Kelly is a national leader in advancing the understanding of sports training, preparation, safety and rehabilitation in children and teens. Her activities include serving on the American Academy of Pediatrics (AAP) Council on Sports Medicine and Fitness since 2004 as well as representing the AAP to the Female Athlete Triad Coalition, an international collaborative group dedicated to promoting the health of female athletes and she just completed a four-year term serving as an AMSSM Board of Director. 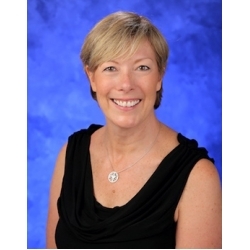 She has given numerous presentations, both nationally and internationally, and has published more than two dozen papers in leading medical journals and authored chapters in sports medicine textbooks.